Tickets on sale! Table of eight $500.00 (includes listing in event program). 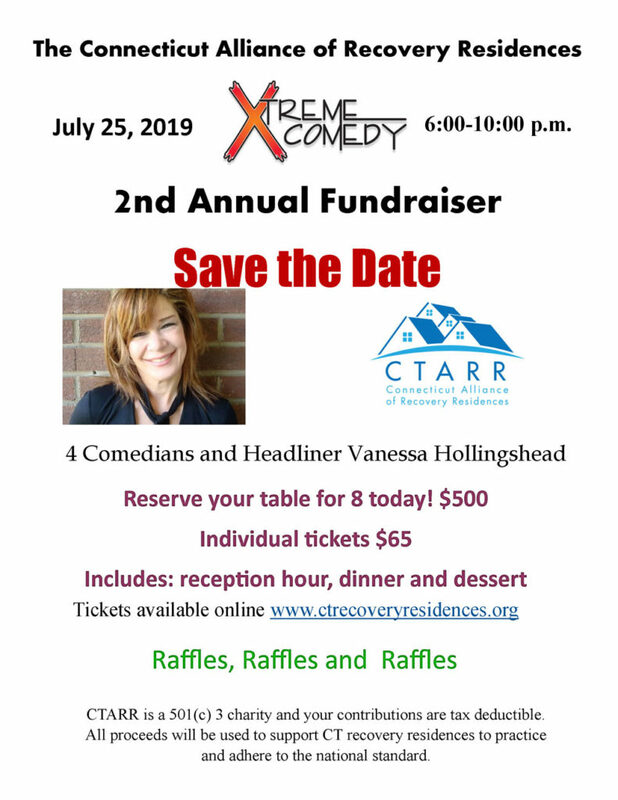 Please contact us at info@CTRecoveryResidences.org or (203) 936-7829 to become a sponsor, to purchase a table and to place an ad in our event program. We hope to see you at the Comedy Night. Thank you in advance for your sponsorship! Mountainside, Stonington Behavioral Health; The Inn at Trails Corner, Aware Recovery Care, Elements Behavioral Health, Geisinger Marworth, The Retreat, Beckley House, Shoreline Recovery, Shana’s House, The Lighthouse and High Watch.